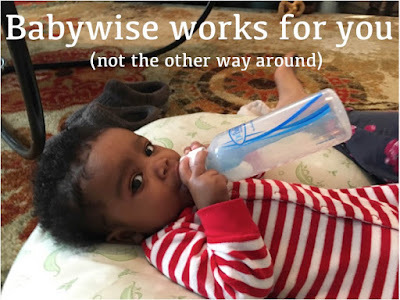 Natasha is talking about something that I have personally talked to so many people about, as we continue to look at myths associated with Babywise. Babywise is a method that works FOR YOU. You make it fit YOUR family. You don't fit it! "You're so lucky to have such easy babies" is something I have heard more than once in my Babywise journey. And that's just not true. We have worked hard to get our kids into the healthy routines that they are in. "When I had the twins (we got them at 3-months-old) and someone would hear that they took at least two 2-hour naps during the day and slept 12 hours through the night, a frequent response I got was, "Wow, you got so lucky!" I still get that response when people hear that every child in my home (ages 1.5, 4, and 6) still naps or at least has rest time during the day. Let me tell you, luck has got nothing to do with it. Do some babies respond better to scheduling than others? Sure. Do some kids adapt more easily to routine? Of course. But I've never had a child from day 1 of their lives; seven times we've welcomed into our home kids from hard places, who came from chaotic environments, and not once have babywise principles failed me. Not. One. Time. And that's because I made babywise work for me, and I put in the work to make it work. If you want to believe I "got lucky" seven times, then fine. 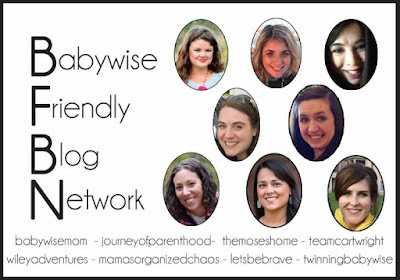 But if you want to know how to make babywise work for you too, keep reading, get the book, and do some research! The blogs at the bottom of this post are some great resources!" Be sure and check back every day this week as our bloggers take a closer look at the myths often associated with Babywise!